Situated in the mesmerizing Kumaon Himalayas, Pindari Glacier is a most accessible of all glacier treks and attracts amateur as well as experienced trekkers. Pindari Trek is one of the most beautiful trek is operations in summers and early winters. Pindari Glacier is the source of Pindar River which meets with Alaknanda River at the confluence of Karnaprayag. The trekking route to the glacier traverses along the southern wilderness of the Nanda Devi Sanctuary offering captivating and invigorating views of peaks like Panwali Dwar (6,683m) and Maiktoli (6,803m). Trek to Pindari Glacier is a "soft adventure" experience, within the capacity of amateur trekkers in love with nature and its pristine glory. Perched at an astounding elevation of 3,860mts above sea level, Kafni Glacier is situated to the right of Pindari Glacier. The route to Kafni Glacier and Pindari Glacier is exactly the same till Dwali. 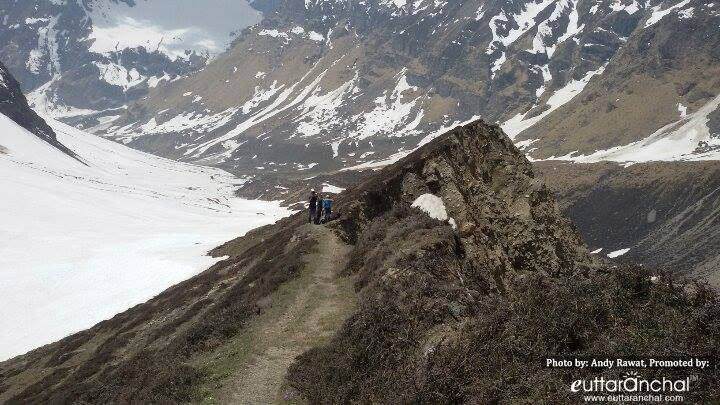 The trail to Kafni Glacier diverts from Dwali. 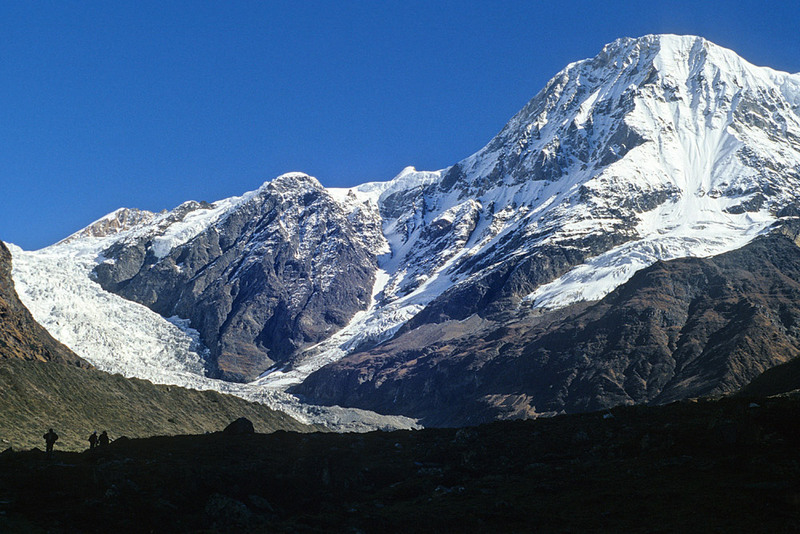 Kafni Glacier is situated 12kms beyond Dwali. It is an exquisite and untouched place situated on the east side of Pindar valley, at the footsteps of Nanda Kot peak. This region has its own charm and allures with the solitude terrain. The trekking trail is rich in flora and fauna. 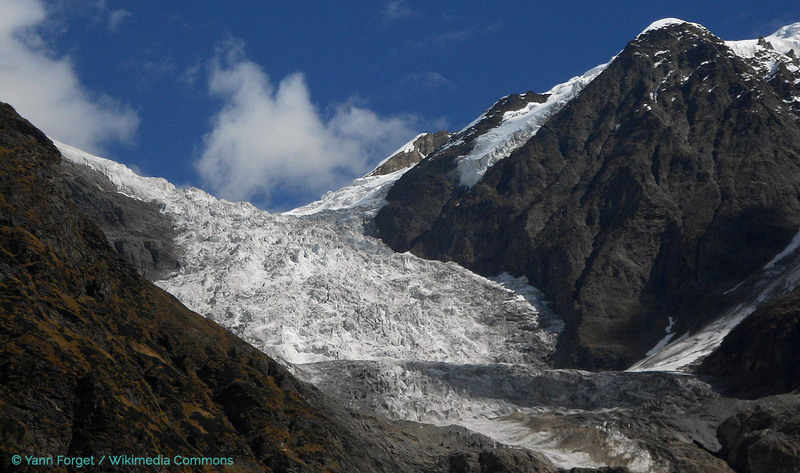 Trek to Kafni glacier is visually captivating and it ends up at the foot of Nandakot parbat (6,860m). Trek to Pindari Glacier and Kafni Glacier are quite long but easy to complete in comparison with other glacier treks of India. The Himalayan region of Kumaon is enriched with scenic natural beauty beyond belief. 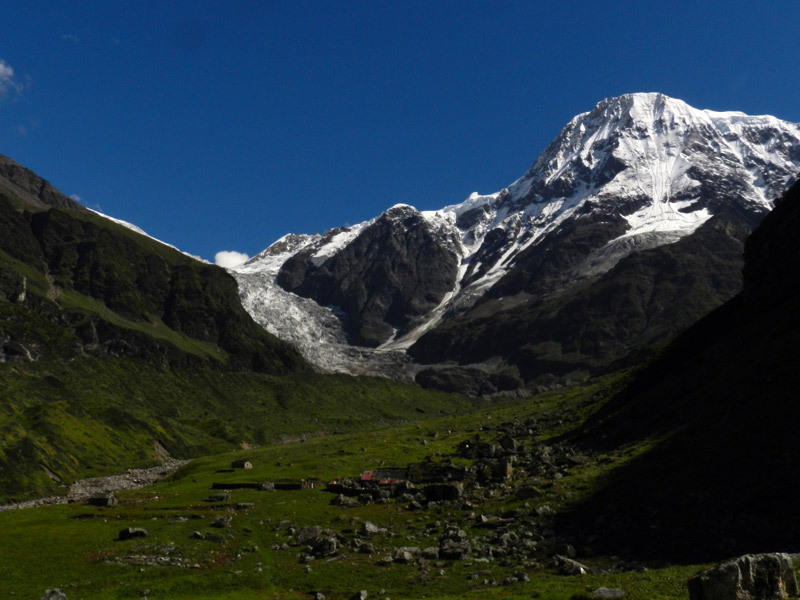 Pindari Glacier has invariably lured mountaineers and trekkers because it offers varied splendours of nature and is one of the easiest accessible Himalayan glaciers. Pindari Glacier lies on the edge of Nanda Devi (7,816), which is the highest peak of India. Zero Point of Pindari Glacier is situated at a breathtaking altitude of 3,660mts above sea-level, 5km ahead of Phurkia. 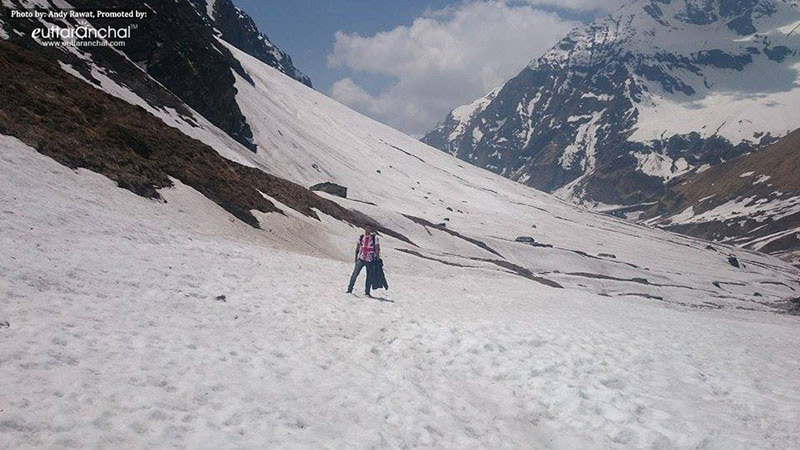 Trekking in India is incomplete if you have not trekked Pindari Glacier. This glacier is situated in the Bageshwar district of Uttarakhand between snowcapped NANDA DEVI and NANDAKOT mountains and has lured mountaineers and trekkers since the last century. It owes its existence primarily to the vast quantities of snow precipitated from the Nanda Devi and other surrounding summits of the Greater Himalayan range. The locals proudly refer to it as the Soul of Kumaon. It is one of the most easily accessible of all the Himalayan glaciers and is well within the reach of anyone who wishes to go for a trek. Trekking: The trek to Pindari Glacier offer mesmerizing Himalayan views that takes one through dense forests, verdant meadows, lush green valleys, and cascading rivers. One can get spellbinding worm’s-eye view of the majestic Nanda Devi peak from Pindari Glacier. Village Tourism: Pindari Glacier trek not only takes one through dense forests, rivulets but also gives a glimpse of the towns and villages of Kumaon region. Almora and Bageshwar can be explored during this trek. Pindari Glacier trek is of easy to moderate difficulty level. Always book with authentic adventure company or with local guides of that region. As it is a long trek and less travelled, we recommend to book Pindari Glacier Trek package from authentic adventure company or local guides. They will take care of your stay whether in camps or local homestays with meals and other necessary permits for your trek to Pindari. According to myth Pandavas done pind dan in this places before going to heaven after that this place is know as Pindari. 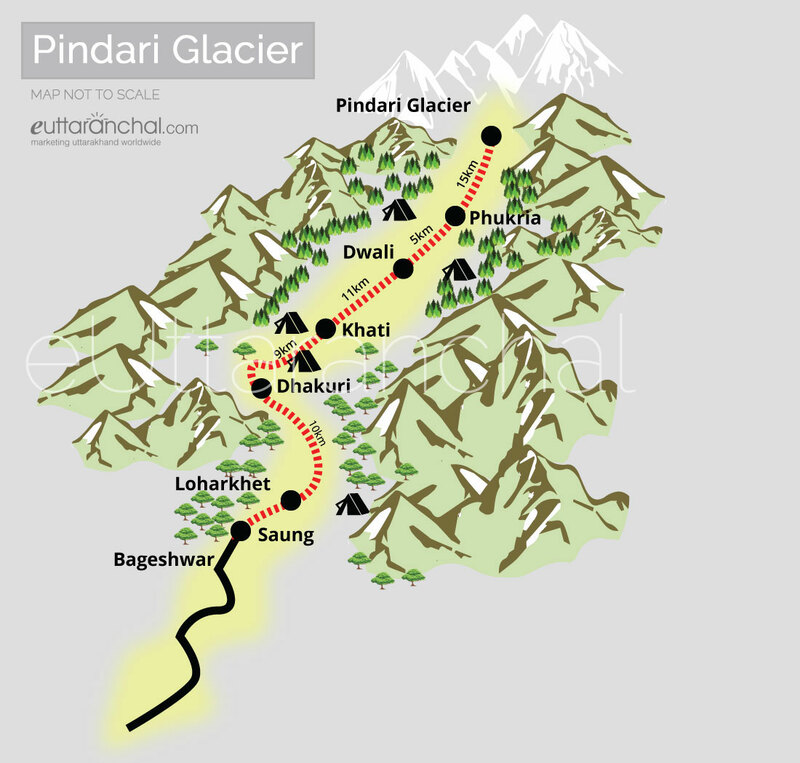 What is Pindari Glacier famous for? 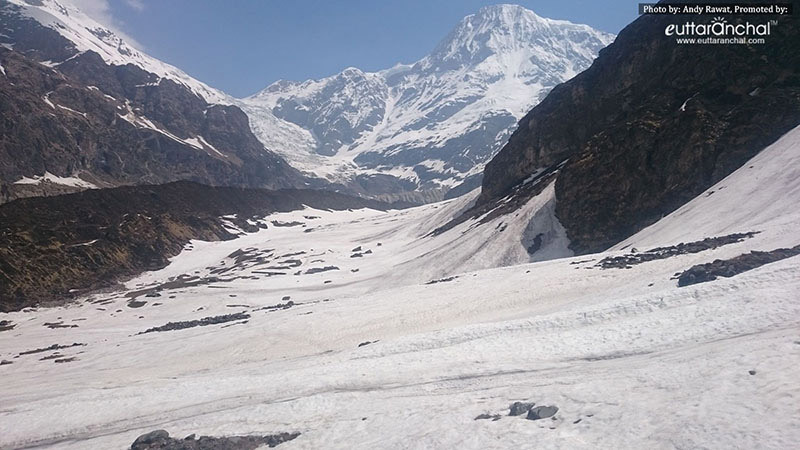 Pindari Glacier is famous among tourist as Trekking . Pindari Glacier is recommended destination for Corporates, Couples, Family and Kids, Foreigners, Groups, Solo. Pindari Glacier is popular destination for following activities/ interests - Adventure, Camping, Glaciers, Trekking. Moraine less Glacier which offers Blue ice view. Close view of Glacier and Mountain range. Breathtaking experiences of the snow-clad Mountains, waterfalls, rivers and water streams. Most reachable and Accessible Glacier in Himalayan region, which suitable for beginner, Experienced and youngster. Gradual walk through the Trail along with Pinder River and Saryu River. Rich variety of Wild Animals like Himalayan Black Beer, Mountain Deer,Blue Sheep and Bear can be seen easily. Explore the towns of Bageshwar and visit the famous temple of Bagnath. Travelling to Pindari Glacier in 2019? Contact us for planning your Pindari Glacier tour with best travel packages of as per your requirements!